Made his debut with Ilirija (Slovenia) 1B, during the 2004-05 season. Signed for the 2005-06 season by Jance STZ Ljubljana, D2. Signed for the 2006-07 season by KD Slovan Ljubljana. Moved to Spain for the 2012-13 season, signed by Malaga CB. .played there also the 2013-14 championship. Signed for the 2014-15 season by Phoenix Suns. In February'15 signed by Miami Heat, also played with Sioux Falls Skyforce, NBDL. In November'17 moved to Turkey, signed by Anadolu Efes Istanbul. Named 2013-14 EuroLeague Top 16 Round 9 MVP. 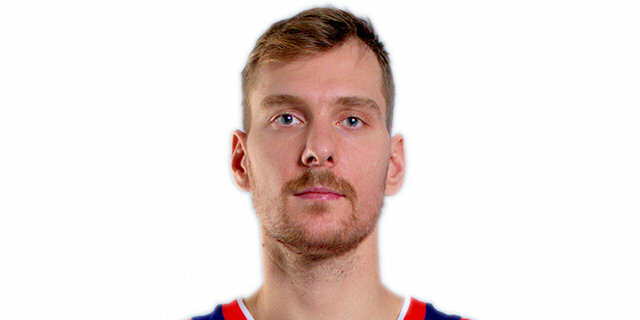 Named 2017-18 EuroLeague Round 17 MVP. Won the 2011 Euro Challenge with Krka Novo Mesto. Won the 2010-11 and 2011-12 Slovenian National Championship with Krka Novo Mesto. Won the 2010 and 2011 Slovenian Super Cup with Krka Novo Mesto. Played the 2008 and 2011 Slovenian All Star Game.